NEW STOCK JUST ARRIVED AND IN STUNNING CONDITION. 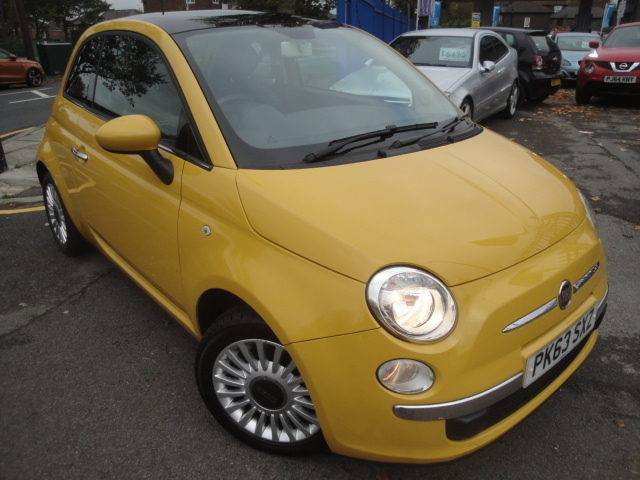 THIS IS A ONE OWNER VEHICLE AND IS FINISHED IN MELLOW YELLOW PAINTWORK WITH YELLOW DASH INTERIOR AND FULL LEATHER SEATS WITH EMBOSSED '500' LOGO. SERVICED AT 10804 AND 24503 MILES.